Starting this Friday and every Friday until the July Bar Exam, our guest blogger, Lee Burgess, will be providing advice on how to prepare for this milestone exam. It’s that time of year again! The sun is shining, the birds are singing, and thousands of law school graduates from all over the country are skipping the sunshine to prepare for the bar exam. Almost everyone studying is nervous and filled with anxiety. As of today, there are less than two months left of bar studying. So how can you make sure you are making the most of those too few days? #1. Get the right tools to support you. There are a lot of ways to prepare for the bar exam. There are the large commercial bar review courses, smaller alternative programs, supplemental programs, and even tutors. It is enough to make your head spin. But one thing is for sure, no one program is going to work for everyone. Different students have different needs. They have different time frames for studying and different learning styles. The key is to find the program that seems like it is going to be the right fit for you. Or, what if you have always needed a lot of feedback on your work to improve your writing skills? Should you find a bar prep option that provides you individualized feedback? You bet. That feedback may be the help you need to get your bar exam writing into tip-top shape. Just remember, your needs may not be the same as the person sitting next to you and consider what will be the most helpful for YOUR bar prep. #2. Spend some time thinking about your past academic performance (successful and not-so-successful). When I work with students who have struggled with the bar exam, one of the first things I ask them to discuss is their academic history. This history can help highlight weak areas that you need to focus on. For example, did you do poorly in your first-year classes where the exams were primarily essays? Did you struggle with issue spotting or time management? Then these are the weak areas that you need to focus on remedying for the bar exam. Tailor your study schedule to specifically allow you to spend time working on the issues you identify. Not sure how to do that? And ask for help! Consult a tutor, mentor, or any other resources that your law school or bar review course may provide. Let your academic history be your guide to preparing for the bar exam in a way that works for you. #3. Know how YOU study best and apply those techniques to bar studying. Along with looking at your academic history to identify strengths and weaknesses in your test-taking ability, you also want to reflect on what study techniques worked best for you in the past and use them. Quick story from my bar prep. I never found flashcards helpful in law school. Even though everyone was making them, they just didn’t work for me. Yet, come bar prep time, I saw everyone making flashcards – even my mother (an attorney) told me about her fabulous bar prep flashcards. So flashcards it was! I made a set for Property and used them once. Why? Because they didn’t work for me. I wasted all of that time (and paper) making a tool that I knew wouldn’t work. Lesson learned. #4. Practice, practice, practice. I cannot say this enough. When I talk to students who have failed the bar exam, many of them confess that they did not practice enough. 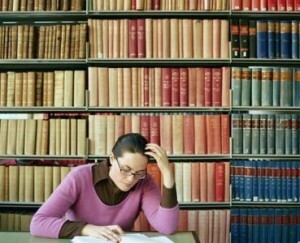 You must write and re-write in order to generate essays that meet the requirements of a passing essay. If you struggle with writing essays you should write every day that you study. It can only help in your preparation. Ditto for the MBE. Only practice, practice, practice will allow you to recognize the patterns that show up repeatedly, tripping up less diligent studiers! So how do you know if you are studying enough? Test yourself. That is why doing practice MBEs and writing practice is so important. Are you scoring higher on the MBE today than you did yesterday? Yes? Then you are studying well and getting results. Are you able to identify all the applicable issues in an essay question and write the response under time pressure? Yes? Then you know you are doing well on the essays. If your answer to these questions is “No,” then perhaps you need to change your study strategy, but that doesn’t necessarily mean studying more! #6. Take breaks. I am a big believer in study breaks. The bar exam is a marathon, not a sprint. You need to study over a long period of time and you need to give yourself an opportunity to recover from all that work you are doing. If not, you risk anxiety, burnout, or – even worse – unproductive study time (where you feel like you are working all the time but getting nothing done). She was right. Taking one afternoon off (or even every Sunday off as I recommend for my students) is not why you won’t pass if you are studying smart the rest of the time. Not, you will notice, taking breaks. #7. Ask for help if you need it. I just got an email from a student that I worked with in law school asking for some advice about studying for the bar (she is taking a commercial bar review course). She is in her second week of bar prep, she realizes she isn’t sure how to best synthesize the material, and she is already feeling overwhelmed. To remedy this she sought help and guidance from a resource she trusts. If you need help to get on the right path, don’t be shy! Ask for it. Is this important to keep in mind? Yes! You have a small window to show the grader your knowledge, professionalism, and readiness to join the profession. Think about tailoring your writing to someone who is reading your answer very fast. How can you use headers, formatting, and paragraphs to make your answer easy to read (and easy to skim)? Make the grader’s life easy, and you’ll get all the points you deserve! #9. Get your life in order and remove distractions. Nothing can sabotage bar studying like life getting in the way. So do what you can to get your life in order and remove distractions. If you feel like you’re being self-centered, keep this in mind: It’s better for everyone if you pass now, and don’t have to retake later. #10. Check in with yourself on a regular basis. I think most attorneys will tell you that the bar exam was one of the most challenging academic experiences that they have been through. It was for me. It is stressful and we put an incredible amount of pressure on ourselves to pass. Do you have so much anxiety that you can’t sleep at night? Have you given up all the things you enjoy that are good for you, like going to yoga or going for an evening jog? Are you doing things to self-sabotage your studying? Preparing for the bar exam is challenging, but keeping these tips in mind will help you manage stress and get the most out of your bar preparation period. Stay tuned for more posts drilling down into specific aspects of bar exam prep. Good luck, and happy studying! I think #5 is particularly true! It’s so easy to get caught up in this idea that you’re spending tons of time listening to lectures or whatever, so you must be making progress, without actually testing that hypothesis. Maybe it’s my science background, but I’m a firm believer in double checking to make sure you’re really getting better!